It all started when a member of our forum (see the discussion here in French) wanted to find the Land Department Office, to get his driving licence. I told him he had to take the direction of Bangkok and make a U-turn after km 199. 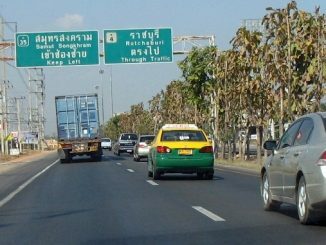 Then things got confusing, as this person told me that km 199 was near Thai Watsadu, and I told him no, Thai Watsadu is at km 214. I even took some screenshots of Google Street View, to show him, but he was still adamant. I even suspected that maybe they had moved the kilometer posts along the road. I knew it was a stupid idea, but I decided to check anyway. And guess what, the kilometer posts had indeed been shifted! I was quite puzzled. So, Cha-am, which used to be at km 206 (at the main traffic lights intersection) is now at km 191. 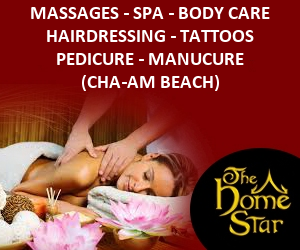 In a manner of speaking, we are closer to Bangkok! 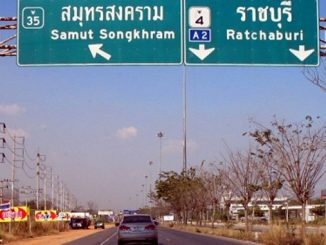 Or more probably, Phetkasem road is starting 15 km farther than before (which would place its beginning at the border between Bangkok and the province of Samut Sakhon). I don’t know if many people noticed the change, I probably would have never noticed it myself before long. 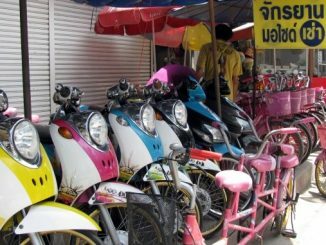 I have never heard Thai people use the km posts to indicate a location, but on the Onlychaam website it’s a system I use a lot, as I find it pretty convenient. Well it used to be, that is. Now I will have to go through all the pages and update the kilometers wherever they are mentioned. 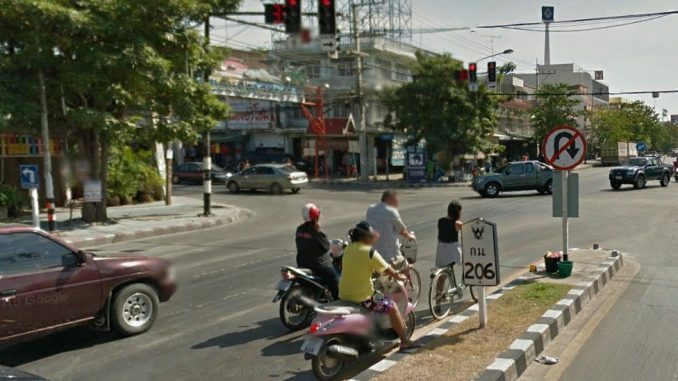 Please note that Google Street View is still showing the old system, as images of Cha-am are from 2011. Hopefully it won’t last for long, as Google cars have been spotted in Cha-am, so an update of the imagery database should be expected soon.